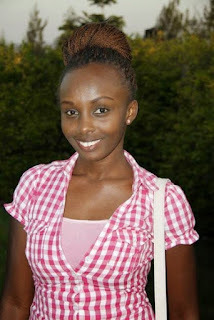 Is Njoki Chege Misleading Females, Find Out! Contentious Daily Nation columnist Njoki Chege recently decided to extol clandes and mistresses in her latest article. times before that any woman worth her salt must never allow herself to be a married man’s mistress. If he loves you enough, he should do everything in his power to make you his number one, his first lady. I have said here also, that a woman can never be happy as a clande. You will always be the number two. And the needs of the first family will always precede yours. He will never spend Christmas with you and weekends belong to his family. But I also have been known to be wrong. Once or twice a year, I happen to be wrong. That was one of those times I was wrong. You can actually be a clande and be happy! You must be thinking that I am contradicting myself and misleading so many other city girls who should be aiming to be wives and not mistresses. Well, I still insist: You can be a mistress, and a happy one at that. Here’s my point. Not all women are okay with being the wife, the supreme mistress of the manor and the first lady. Some women are happy with being number two. Some women are happy with fading into the background, and letting the first lady take over the show. You may not agree, but there are some women who do not mind playing second fiddle to the first lady. You see, we grow being misled by our parents. That being number one is the ultimate prize. You have to come first no matter what it takes. Girls have been told they must be the prettiest in the room. We have been conditioned to settle for nothing but number one and number two is not a good position to be in. arrive too late and find another woman seated on the throne. So what do you do? Do you sigh, give up and walk away? The beauty of being second in command, of being the clande, the ‘side chic’, the married man’s mistress is that you get to sit at a vantage point. You are in a very strategic position because you get to know what the number one does not do very well and capitalise on her weakness. Her weaknesses become your strength. You start where she stops. You take over when she gets tired. Now, you might think that this means reducing yourself to eating bread crumbs falling from the dining table. Nothing could be further from the truth. If you are a clande to a married man, and you love that married man with every fibre of your being, then you must not let these feminist hogwash of aiming for the number one blind you and your intentions. Forget what society says about clandes being immoral home wreckers and gold diggers. If you know who you are, and what you stand for, and if you are truly committed to that clandestine relationship, then you must let nothing stop you from being a happy clande. A happy clande is one who has realised this truth and has stopped mourning over water under the bridge. Instead, she is salvaging what is left and is happy being the second in command. She has dealt with her demons and has accepted fate that her married man will not always be there for her 100 per cent of the time. She has dealt with the fact that he will never spend Christmas and holidays with her, that she will have to go through the night all alone and, yes, happily. She is at a good place in her life. She knows there are things in her life she cannot change and she has the serenity to deal with them. If you are that type of clande, that happy mistress who is okay with being the number two and is comfortable in her own skin, you are on the right track. Don’t allow anyone to tell you otherwise. I am done judging clandes and mistresses. I think we should let them be. They don’t need our advice and certainly our judgment. They are not hurting anyone and they are not committing any crime. They are just being who they were meant to be: Happy clandes!